Of course, divorce is almost always a difficult and stressful event for children. 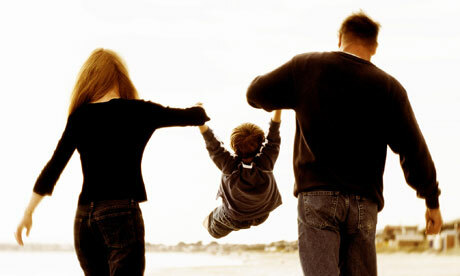 In most cases, children want their parents to stay together and the process of divorce can be emotionally devastating. Encourage love and affection with the other parent. Children should not feel bad about having a loving relationship with the other parent and spending substantial time with them. Invariably, parties will parent differently which may prove frustrating, however, it is essential that parents attempt to parent collaboratively and accept different parenting approaches. Do not put children in the middle; it places children in a very difficult position when they are encouraged to choose sides. Keep children out of disputes between you and your spouse. Do not fight in front of the children. Fighting in front of the children simply serves to make them uneasy and insecure; all disagreements should be discussed outside of the children’s presence. Do not discuss the divorce case with the children or in front of them. It is highly inappropriate to discuss your case to or in the presence of the children. Generally this is an attempt to alienate the children from the other parent or to place them in the middle. Do not make negative comments about the other parent. It is very important that neither parent speak negatively to the children or in front of them. Children are a product of both parents and negative comments about the other parent diminishes the children’s own self worth. Courts will generally enter orders that the parent not disparage the other parent to the children or in front of the children. Getting along at children’s events. It is quite embarrassing and distressing for children’s parents to fight while attending children’s activities or events. At a minimum be civil and appropriate when communicating with the other parent at children’s events. Refrain from utilizing children as messengers. Communication should be directly between both parents. Children should not be used as intermediaries or messengers. This is very inappropriate and irresponsible. Children should not be involved in parent’s disputes, either directly or indirectly. Children involved in family law matters are not spies. Do not request that children inform about the other parent’s activities or circumstances or speak with them about the divorce, legal separation custody or allocation of parental responsibilities matters. This is very inappropriate and again puts children in the middle. Children need to be isolated from the ill effects of the divorce process and the deterioration of the parties’ relationship. Spying is inappropriate and puts children in the middle.